I think we can all agree when I say Chicago is filled with some of the most amazing, awe-inspiring women across the country. That is why, in honor of International Women’s Day and Women’s History Month, we have assembled a list of daring women who are leaving their mark for future generations to follow. 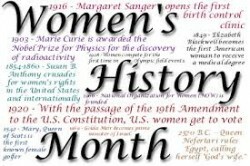 Women who exemplify leadership, compassion, and a zeal for life will all be highlighted throughout this month, beginning with Mariela Santori, entrepreneur; Sharyne Moy Tu, photographer; Veronica Espinoza, president; Claudia Perez-Brown, producer; and Rosario Vargas, founder. We hope you enjoy reading the stories of these fascinating women and feel inspired to follow your passion.